Serious Snape uses the love-to-hate him character from the ubiquitous Harry Potter chronicles, Professor Severus Snape. For those of you who have been hiding under a rock, Harry Potter relates the adventures and misadventures of a boy wizard during his tenure at the esteemed Hogwart’s Academy. Severus Snape is the professor of Potions, but also became professor of Defense Against the Dark Arts later on in the series. The character of Snape is played by actor Alan Rickman, who is known for his deadpan delivery and gloomy outlook on life and just about everything. If he has a sense of humor, it has been surgically removed, hence the creation of the Serious Snape meme. 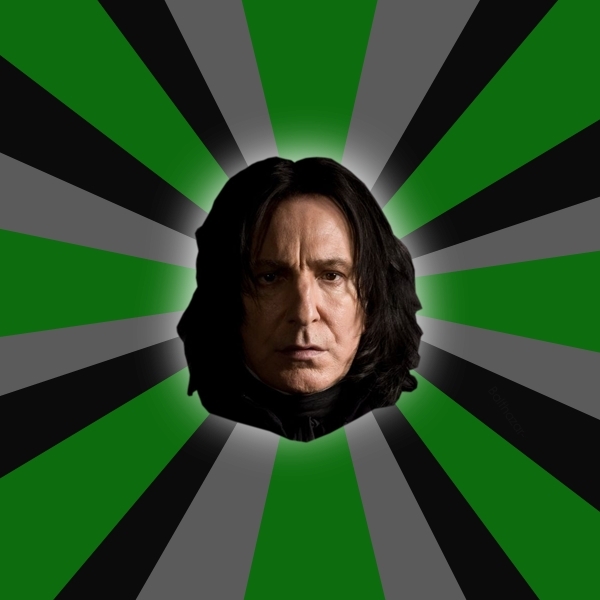 The meme features the head of Alan Rickman’s depiction of Snape in front of a multi-colored starburst pattern that contains the green colors of the Slytherin house to which he belongs. The text that accompanies the graphic tends to focus on things that are depressing and lines from the Harry Potter movies. They are filled with doom and gloom, and have a particularly negative outlook on life in general. Anything that is a bummer is the domain of Snape, and many people can identify with this pessimistic outlook on things, as a contrast to those who are cheerful all the time. Notable examples of the verbiage that goes alongside the meme include “It gets better – For everyone but Severus Snape”, and “Do not disappoint me”. не менять прическу на протяжении 8 фильмов?